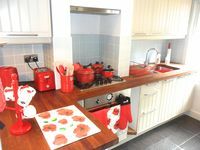 Family Friendly, Games Room, Pets Welcome, Modernised, RH & D Railway To Rear. Property 8: Family Friendly, Games Room, Pets Welcome, Modernised, RH & D Railway To Rear. Situated in quiet location, surrounded by farmland and within a mile of Iden. Property 12: Situated in quiet location, surrounded by farmland and within a mile of Iden. Cosy cottage seconds from the Ancient Landgate Tower in Rye. Property 19: Cosy cottage seconds from the Ancient Landgate Tower in Rye. Property 33: Cool Beach House Hideaway - with historic Rye on your doorstep. Property 36: Camber Cabins- Beautiful beach cabin only moments from the sand dunes. Property 50: Unusual Cottage In Romney Marsh - With Own Tardis And Dalek!